Are you looking for the ideal location for your company? With a perfect infrastructure and tailor-made services? 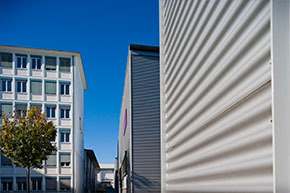 The Schenck Technology and Industrial Park in Darmstadt, the city of science, offers you a host of advantages. Infrastructure. On an area of over 100,000 m², we provide office space, production workshops and warehousing areas all in flexible utilisation units. The generous area is complemented by three car parks and open spaces. Synergies. Many R&D and manufacturing companies, including successful traditional companies and ambitious start-ups, have already moved to the Schenck Technology and Industrial Park. They all profit from jointly shared resources, growth opportunities and the synergy effects of this dynamic environment. Service. 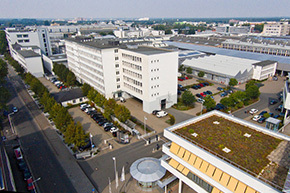 Schenck Technologie- und Industriepark GmbH is the leading local provider of facility management services including vehicle fleet management, logistics services and the company restaurant. At your request, we will manage all your day-to-day tasks involved in running your company, leaving you to concentrate fully on your core business. Please note that we also offer many of our services to external customers. Conference centre. Multi-functional and spacious, the conference centre offers ideal conditions for meetings, conferences and events. This is a perfect setting for your activities and accommodates up to 100 participants. Location. 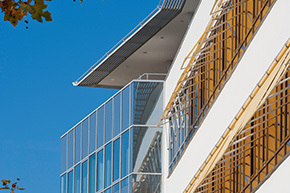 Darmstadt is a science city with a technical university and many renowned research institutes. It is a leading and forward-looking location in the bustling Rhine-Main economic region. Technologically orientated companies will find the right environment and personnel resources for successful growth here. Situation. Virtually at the centre of the world, thanks to its close proximity to Frankfurt International Airport as well as the centre of Germany, thanks to its close proximity to good motorway connections. Virtually in the heart of the region, thanks to its excellent public transport links. Question. What can we do for you?